It is the time of year teachers need to put on their hardhats, tie yellow caution tape across their doors, and lay out orange cones in the halls. They will need to stand guard at the garbage cans, handing back papers that forgot where the ‘finished’ work basket is. You have probably never been able to observe how kids clean out their desks. They don’t take out their books and papers and lay them on top of their desks. Oh no. They reach their arms into their desks, pull everything out at the same time, and spread it all out on the floor like it’s their Halloween candy. Teachers, don’t fight it. Make it a party; the games will be “Stuff the Garbage Can until It Overflows”, “Stand on the Papers in the Garbage Can to Make It Go Down”, and “Oh, There It Is!” What a great time of year! 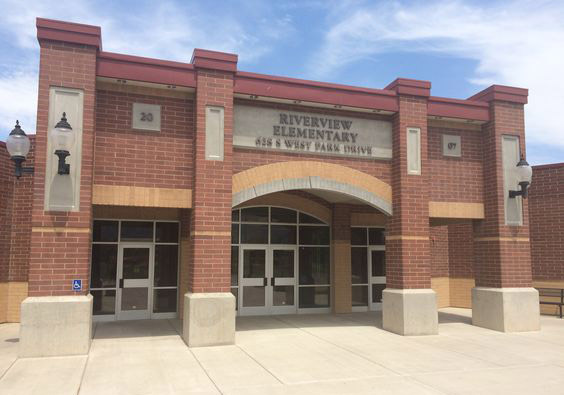 This year we are trying to create a great memory…a Riverview music video! The video will be to the song “The Great Show” from the movie “The Greatest Showman.” A videographer will be coming on May 21st to help us create a great memory. The most important ingredient for the memory is enthusiasm. On Monday, May 21st, students can bring crazy wigs, sun glasses, a stuffed animal (circus), a silly hat, etc. The yearbooks have been ordered and are currently being printed. The PTA have ordered some extra books, BUT not a lot. If you would still like a book, you may purchase one for $15 through the office. The books will be delivered the last week of school. May 22nd – 3rd & 4th grade talent show @ 9:00 a.m.
May 23rd – 4th & 5th grade talent show @ 9:00 a.m.